Traditionally, environmentalists argue we should protect the environment because this is good for human welfare. No one wants polluted air or water. A beautiful view adds value to a home. Recently, another argument for protecting the environment has been gaining ground. Proponents of Deep Ecology claim that deeper thinking (than that which has been done by traditional environmentalists) leads to the realization that non-human species have intrinsic moral value in addition to any value they provide for humans. Deep Ecology proponents also argue that more rather than less diversity among life forms is morally desirable. As a consequence of these beliefs, Deep Ecology proponents are led to the conclusion that humanity has a moral obligation to reverse the human-caused decline in the size of habitat and other resources available to non-human species. In order to reduce its negative impact on other species and the diversity of life, they argue that humans should reduce the standard of living in America and other developed countries and decrease the total human population. Let’s do what might be called super-deep thinking and develop what I will define as Super Deep Ecology. An unstated assumption of Deep Ecology is that Earth is the only relevant location for life. Let’s break this assumption by adding space settlements. As I have argued in earlier Ad Astra columns (for example, “The Inevitability of Space Settlement,” the vast majority of the material and energy resources of the solar system lie in space rather than on the Earth. In particular, there is enough material to produce space settlements that have a land area a million times greater than that of the Earth. Thus through space settlement, humanity can dramatically increase the size of the habitat and resources available not only for itself, but for other species as well. Space settlement also provides the means for increasing the diversity of life to a greater level than has ever occurred on Earth. The fundamental nature of space settlements, each separated from the others by a substantial distance, is to create a very large number of ecologies that can differ greatly from one another. Ecological diversity depends not only on the number of species but also on how different the species are from one another. An ecology consisting of one species of plant and two similar species of butterflies is obviously less diverse than an ecology that has one species of plant, one species of butterfly, and one species of birds. In time, humanity will bioengineer life forms that make sense for local space settlement conditions. A bioengineered Martian ecology would be dramatically different from what we find today on the Earth. Even more exotic life forms that can thrive on the airless Moon may be possible. In time, humanity will be able to do in a sense what the proponents of Deep Ecology suggest. We can reduce the human population of Earth not by reducing the total human population, but by moving people to space settlements. Much of our mining, agriculture, and industry can also be moved to space settlements. The Earth can largely become a very environmentally friendly wilderness area with some parks and places of historical interest. Super Deep Ecology tells us that the greening of the solar system, the spreading of life to what is now barren territory, is a morally desirable endeavor for reasons beyond how it benefits humanity. 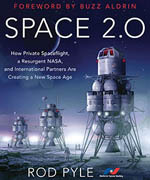 Space settlement can not only provide a hopeful, prosperous future for all humans, but for life in general as well. This article was written by Mark Hopkins, Chairman of the Executive Committee of the National Space Society. 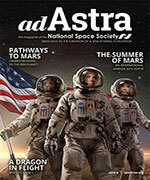 The article originally appeared in Ad Astra, Summer, 2011.